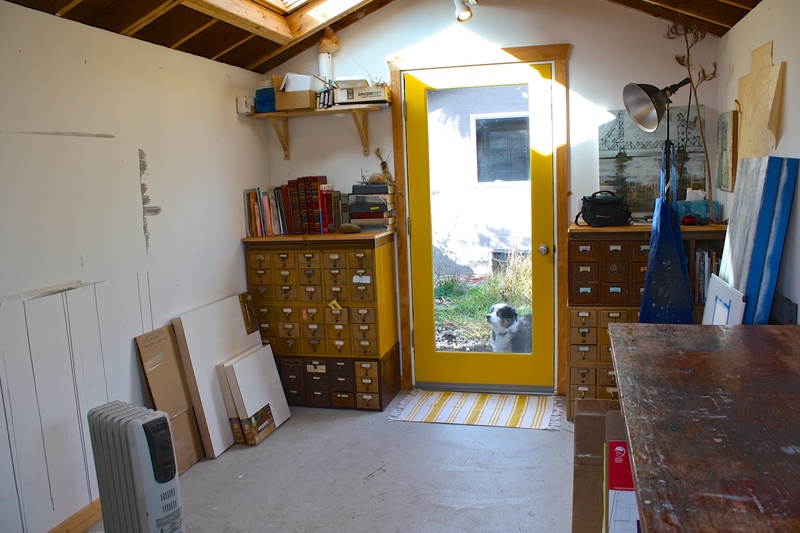 This is not really art related but I love your dog peering through the door to the studio…. Yes, poor dear always wants in! Your before photo looks like my mess AFTER I have tidied! Actually I have 4 corners of the house that I use, seldom get to the bottom of it all before I am desperate to get onto the next idea! But I must say a fresh start is far less frustrating, I do waste time scrabbling for things that have been buried. 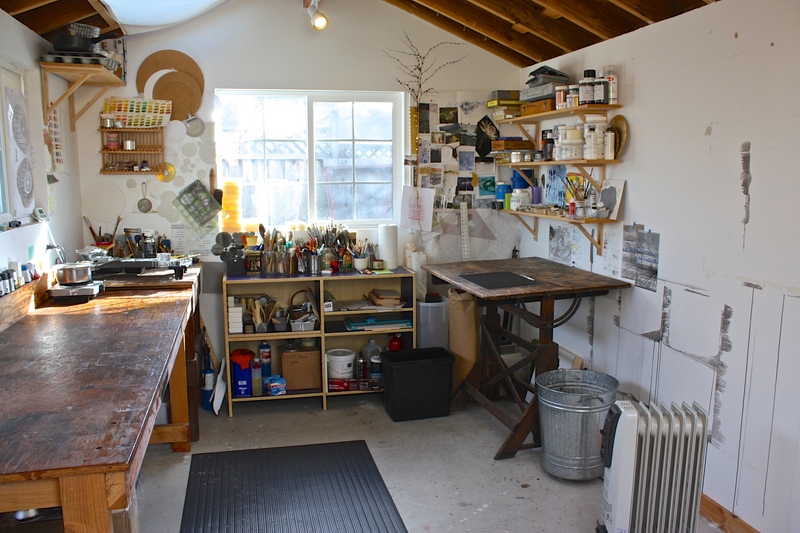 I only wish I�d declutter my house as much as I declutter my studio! Ah well� the piles can wait. 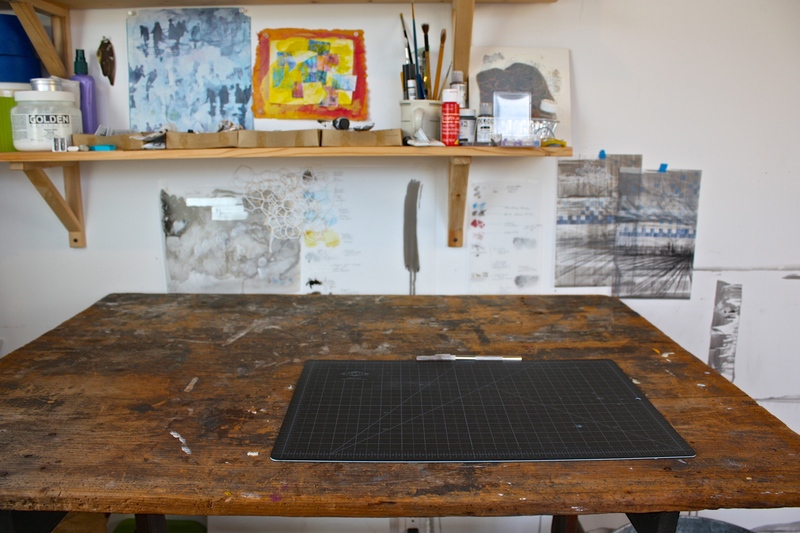 I love seeing other people’s studios. Makes me want to get back to mine. Ah, the brutal day job gig. I’ll get there eventually. I hope you find time soon! 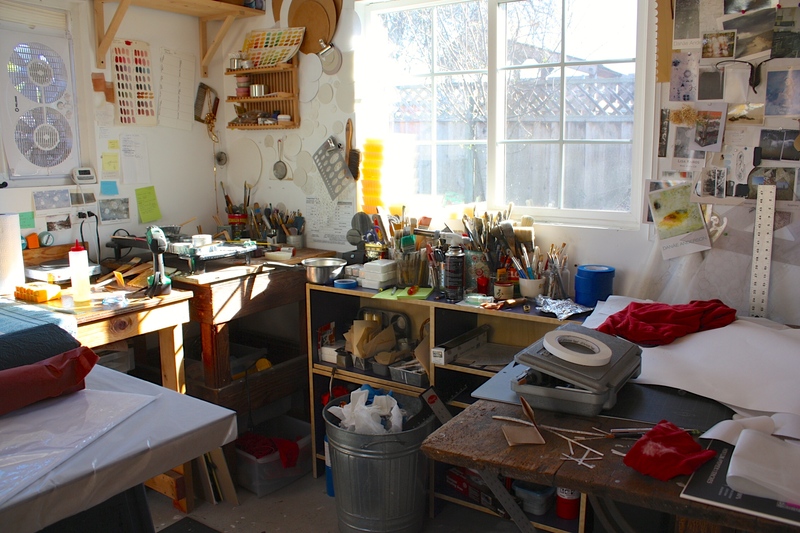 Sometimes, even if I don�t have the energy to work on my art, I�ll just go and hang out in my studio for a few minutes, and connect there and remind myself of my other, creative life. 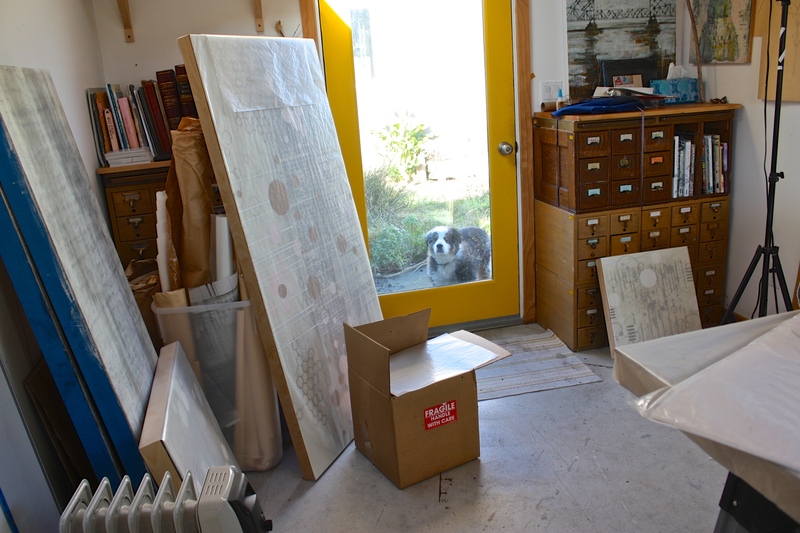 Yes, with that double coat of his, my Aussie likes to lay on the cold concrete floor of my studio. Every now and then I have to fish a dog hair out of the wax! 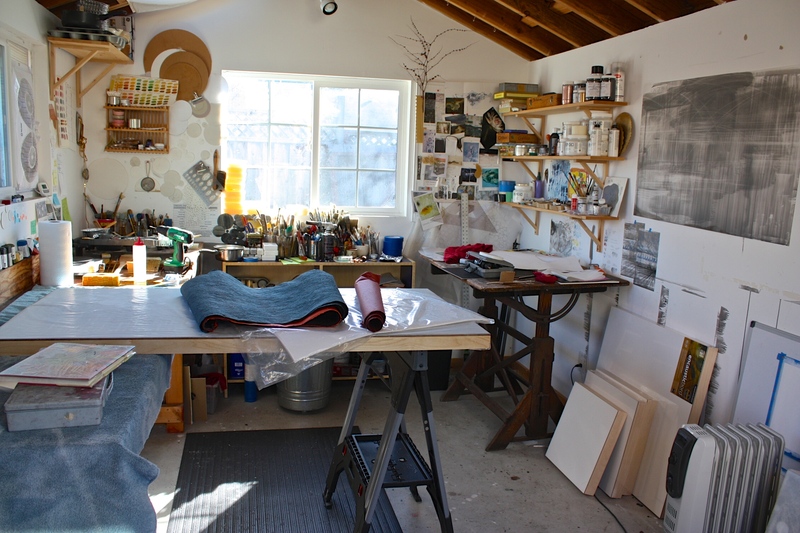 love your work and your studio. 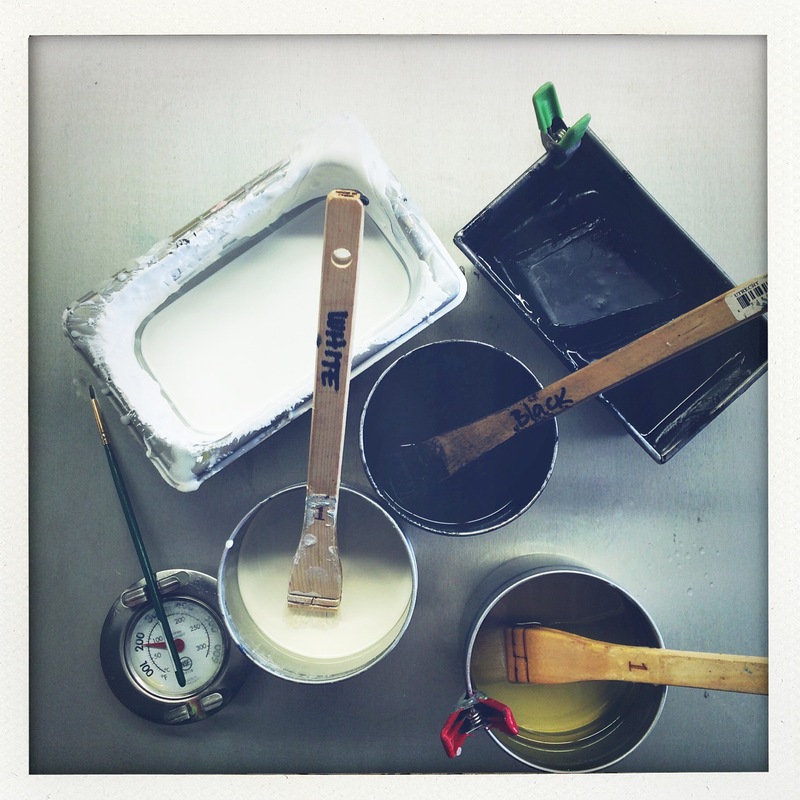 Now that you have your feng shui on look forward to seeing your new work!